Tranquil, reflective. 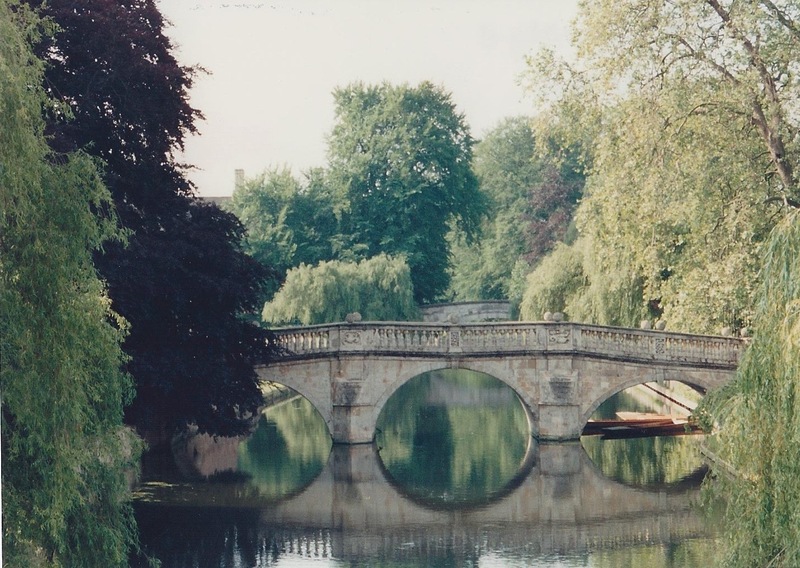 Bridge over the River Cam in Cambridge, England. Behind Trinity Hall College.